Racers enjoy special room rates at Tropicana Laughlin for the 5th Annual Run Laughlin Marathon, 5K & 12K event, December 7, 2019. Rates are: $29 per night, Dec. 4 & 5; $45 per night, Dec. 6 & 7, $24 per night Dec. 8. All rates are plus tax & fees for Promenade Tower Resort Room based on single/double occupancy. All hotel policies apply. 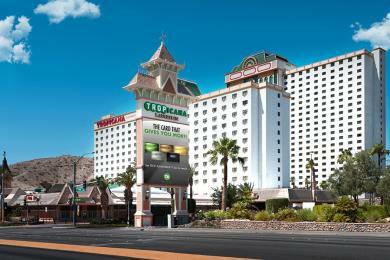 Call Tropicana Laughlin reservations at 1-800-343-4533 to reserve today.